Do you remember this photo above from the previous post? For some reason I found this picture so lovely that I wanted to present you the whole interior where this cosy work space belongs and I also chose home offices / work spaces as topic of the next post. 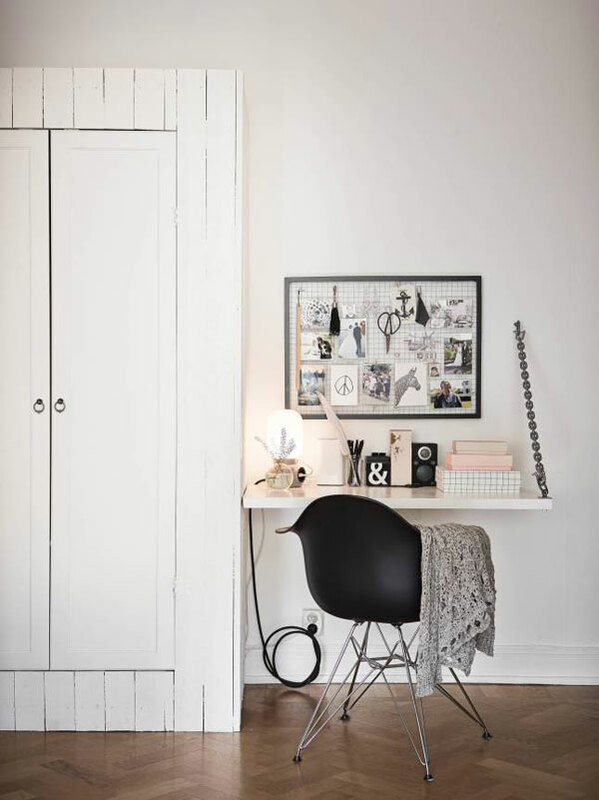 The office corner is part of a 53 m2 apartment in Gothenburg, Sweden. The building is from 1929 by architect E. Holmdal. 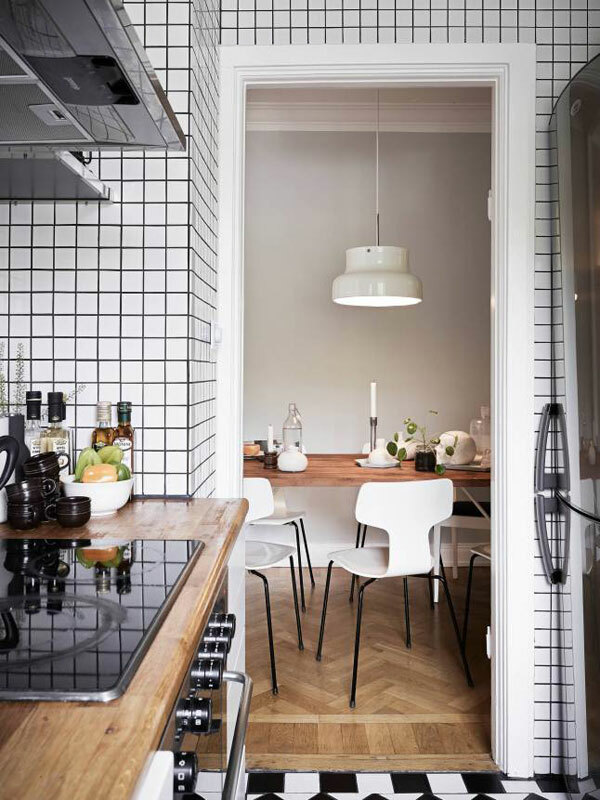 The charming two-bedroom home has a lot of character thanks to original features – such as the herringbone wooden floor, high ceiling, old wooden doors, etc – and modern furnishing. 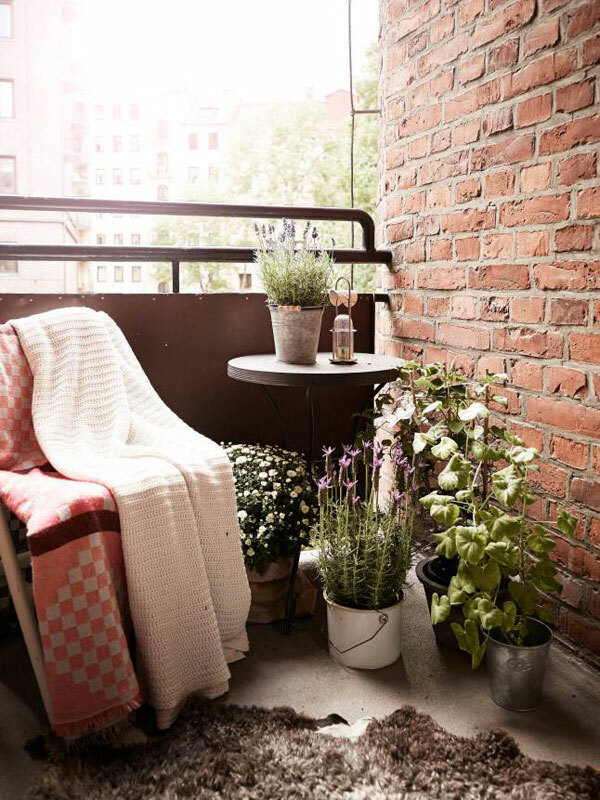 The color palette is very muted: only natural hues, pastels and black are used, which – combined mainly with natural materials – create a calming and welcoming ambiance. 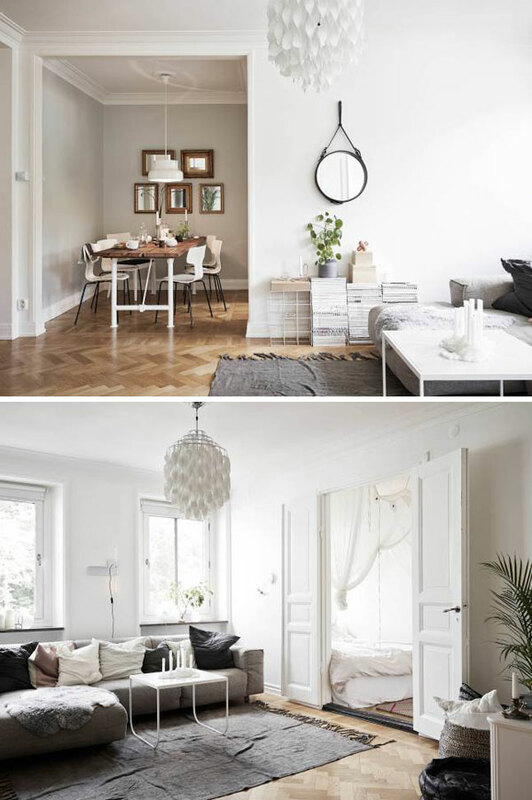 This home has everything that Scandinavian homes usually have: some design classics paired with neutral and simple contemporary furnishing, casual style, lots of light, and natural materials. Enjoy the following pictures of this harmonic home. Every room of this home is heart-warming, romantic and stylish. How do you like it?